I wanted to share some of my earlier CoCo sewing progress. 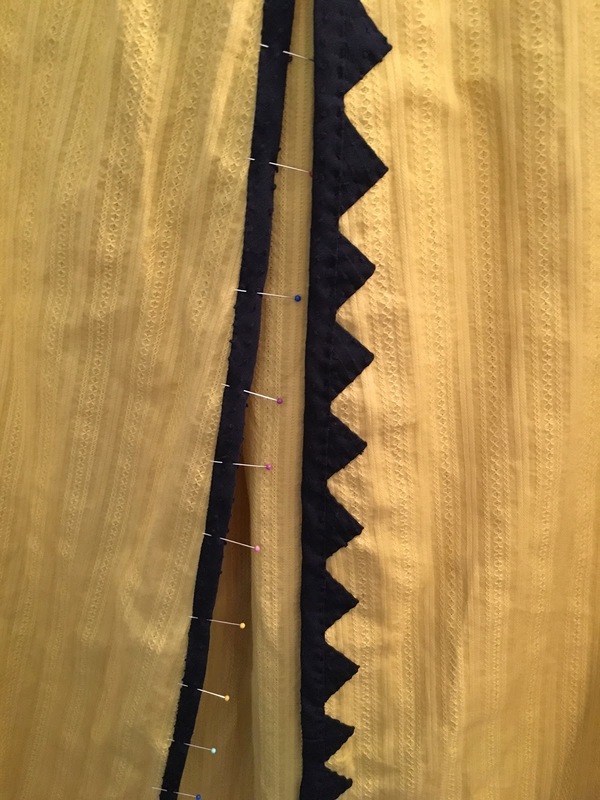 I did some bodice fixes (so it would lay flatter) and I'm adding black triangle trim to my early 19th century Regency cross over mustard yellow cotton gown. 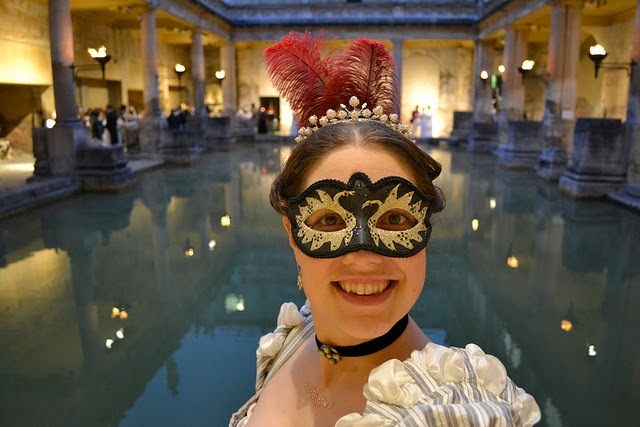 The idea and inspiration for the triangle trim comes from here, here and here. For the trim, I created a channel trim by ironing in two sides (to form a channel), then fold one side down on itself, and then the other, iron down, and then cut off the lower edges with just a bit remaining, and voila, triangle to add! 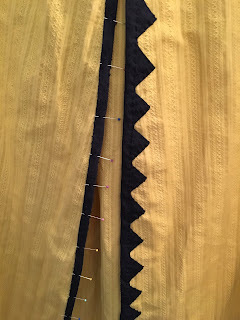 I made each triangle meticulously, and then tuck each into the binding trim (which I hand picked recently). Sew down the binding again to hold in the triangle, and then sew up and down each side of the triangle to finish. I added triangles all the way around the skirt, then to the neckline and the sleeves, and now it's done and ready for CoCo! 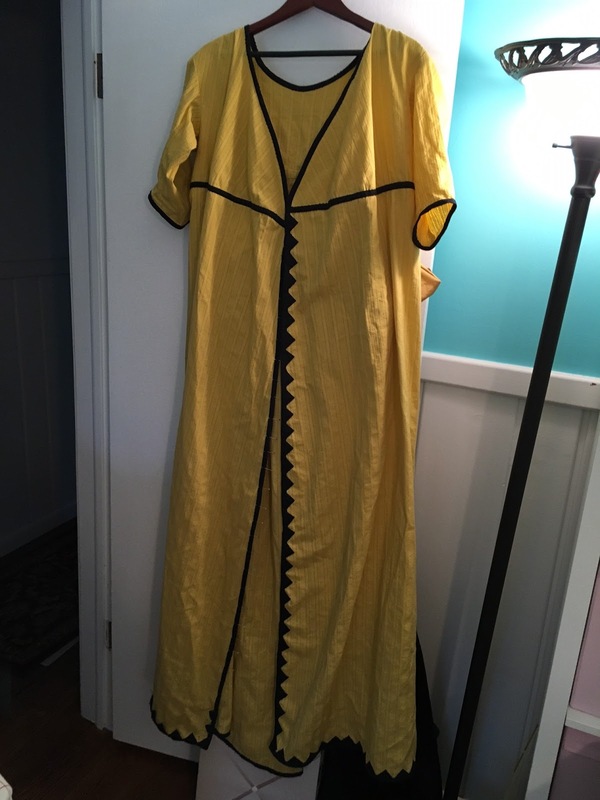 I'm really looking forward to the second wearing of this dress with my mustard silk fichu at CoCo!